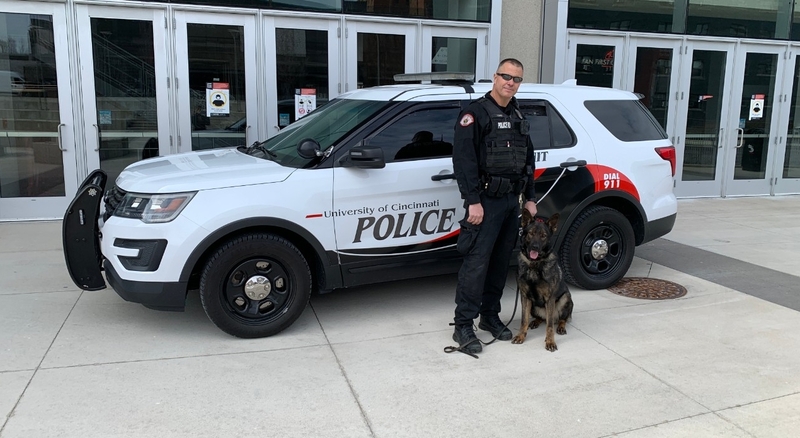 The University of Cincinnati Police Division K-9 Unit, which was created in 2015, consists of one Lab that can detect 26 different explosive chemicals. Dozer, a yellow Lab, is Officer Lance Long's partner. They train daily to maintain critical skills, in addition to training with other local K-9 Units. Dozer patrols campus and sweep buildings prior to special events. The K-9 Unit also assists other local law enforcement partners and provides explosive-detection services. Funding for UC's canine program was provided, in part, by the Matt Haverkamp Foundation. The foundation, established in 2005 following the death of K-9 officer Matt Haverkamp, has funded numerous K-9s since its inception.